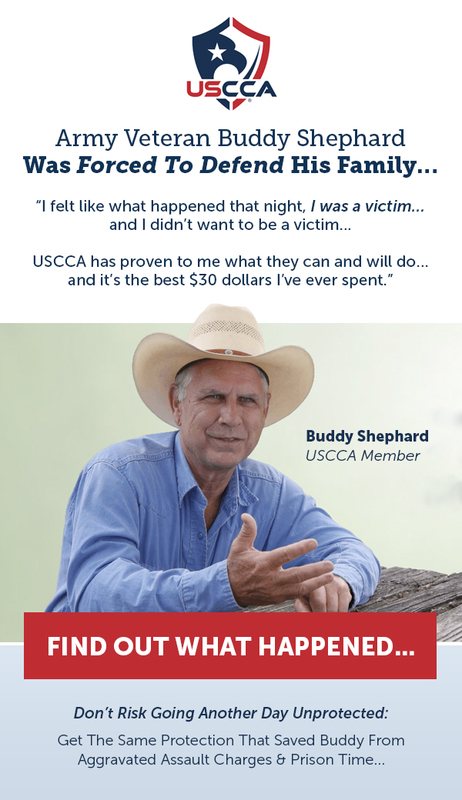 Q: How much will it cost to get a concealed handgun license? A: For most Texans, the Permit- now called a License to Carry (LTC) will cost $40 Plus a credit card processing fee payable to Texas Department of Safety. But for senior citizens, active/honorably retired peace officers or active/retired judicial officers or indigent Texans, the cost is lower. For elected felony prosecuting attorneys, fee is waived. DPS now discounts new LTC / CHL issues, renewals and modifications for active duty military, reservists, members of the national and state guards, and veterans as follows: Fees are waived for active duty and veterans honorably discharged within the last year. Fees are reduced by 50% for veterans discharged more than one year before applying. Please see Texas GC Section 411.1951 for details. *This fee is for your license only and does not include the cost of the class. See our classes for class offerings and pricing. Q: Can the license fee be waived in any instance? Q: Will a license from my home state be recognized under the reciprocal license provision? A: The DPS will evaluate each state’s handgun licensing program to determine whether statutory reciprocity requirements are met. Laws in those states must be at least as stringent as federal eligibility requirements for buying a handgun for reciprocity to be allowed. Please see their Reciprocity Map. Q: Can others find out if I am licensed to carry a concealed handgun? Q: How long will my license be valid? A: New permits are issued for four year terms. Renewals are valid for 5 years. Q: If I move, how do I change the address on my license? A: You may contact the DPS Concealed Handgun Section to receive a change of address form, or you may send a letter including your full name, CHL number, old address and new address and a cashier’s check or money order for $25. You may call 1-800-224-5744 or write Texas Department of Public Safety Concealed Handgun Licensing Section, P.O. Box 15888, Austin, Texas, 78761-5888. Q: What are the requirements for obtaining a license? A: The concealed handgun law sets out a number of qualifications that must be met. The DPS website will list them in detail. For example, you must be a legal resident of Texas and you must be qualified to purchase a handgun under all state and federal laws. A number of factors may disqualify you from obtaining a license, such as: felony convictions and some misdemeanor convictions, including charges that resulted in probation or deferred adjudication, pending criminal charges chemical or alcohol dependency, certain types of psychological diagnoses, protective or restraining orders, defaults on taxes, governmental fees, student loans or child support. The application process is handled nearly entirely online. In addition to the online application, you will require two recent color passport photos, one set of fingerprints taken by a an authorized official, and a Certificate of Training form (LTC / CHL-100) from a DPS-authorized handgun course. After receiving completed application, the DPS will conduct extensive background checks of juvenile records for the previous 10 years and all adult records. Q: How much will fingerprinting cost? A: Finger printing is handled electronically through L1 Identity Solutions or IdentiGo. The published rate is currently $9.95. You may pay online with your credit card while applying for your LTC with DPS. Some locations only accept checks or money orders. Q: I know someone who I feel has a psychological problem and is unfit to carry any kind of firearm. He/she has applied for a license. Who should I speak to about my concerns? A: You may send a signed, notarized letter to DPS and officers will investigate the allegation. Q: If I was convicted of DWI two years ago, can I still get a concealed handgun license? A: No. DWI is at least a Class B misdemeanor, and you are ineligible for a license for five years after a conviction for a Class A or Class B misdemeanor or disorderly conduct. This includes cases that were dismissed after you completed probation or deferred adjudication. If you have been convicted of two or more alcohol or drug-related offenses within the last 10 years, you may not be eligible. Q: I was arrested four years ago for unlawfully carrying a weapon and the judge gave me deferred adjudication. Is this considered a conviction even though the charges eventually were dismissed? A: Yes. The concealed gun law states that deferred adjudication will be treated as a conviction. After a specific amount of time you may be eligible to have your rights reinstated. Please consult legal counsel. Q: If a judge ruled that I was delinquent on my child support in 1992, but I have since worked out an arrangement with the Attorney General’s office to pay off the debt, can I get a license? A: Yes. If you have a payment plan with a government agency for back taxes or child support and the agency sends DPS a clearance letter, you may apply. Include a copy of the agreement and letter with your application materials. The concealed handgun law was designed to encourage those who have made no effort whatsoever to pay what they owe. Q: If I spent time in a psychiatric care facility in the 1980s, will I be disqualified? A: Qualification for a concealed handgun license depends on your current diagnosis. Past psychiatric treatment wouldn’t necessarily disqualify you. You should attach a letter from a licensed psychiatrist stating that your “condition is in remission and is not reasonably likely to develop at a future time,” as the concealed handgun law states. Q: If I was arrested for a crime but the charges were dismissed, will my application be rejected? A: No. Dismissals will not be grounds for denial, as long as you weren’t placed on probation or deferred adjudication prior to the dismissal. Q: Do you have to meet all of the federal Brady Law requirements to get a license in Texas? A: Yes. Texas law requires you to meet all state and federal laws regarding handgun possession. Q: How can I find out if someone is a certified handgun instructor? A: Updated lists will be available at most DPS offices and by calling 512-424-7293, 512-424-7294 or 1-800-224-5744. Q: Can I take the handgun training class at the DPS? A: No. LTC / CHL training and qualification classes are only given by DPS-certified private instructors. Q: Will I need to have a gun before I begin my training class? A: No. 4Ward Defense rents weapons for the LTC / CHL shooting proficiency test. The permit licenses you, not a specific gun. Q: I spend a lot of time in Texas, but don’t live here year round. Can I get a license? A: A new revision to the law allows people who live in states that don’t issue concealed handgun licenses to apply for Texas licenses. Additional fees may be charged to out-of-state applicants to cover the cost of conducting background checks in other states. If you live in a state that issues concealed handgun licenses, check to see if a reciprocity agreement is in place. Also, if you have a permanent residence in Texas and a Texas driver license or identification card, you may apply for a license even if you do not live here for the entire year. Q: How can I prove my Texas residency? A: Texas driver licenses or identification cards, voter registration cards, utility bill stubs and other official documents listing your address may be used to establish Texas residency. Q: If I am a legal resident alien, can I get a license? A: Under federal law, aliens who have been admitted to the U.S. under a non-immigrant visa are not qualified to purchase a handgun and therefore do not qualify for a license. As long as you were not admitted under a non-immigrant visa and are a legal resident of Texas, you may qualify. Q: I retired from being a peace officer several years ago when this law was not in effect. Can I be “grand- fathered” and allowed to pay the $25 fee and waive the proficiency test? A: Yes. Under an amendment to the statute, you may apply at any time after retirement. However, you must demonstrate proficiency through your agency before applying and must demonstrate proficiency annually through your agency after you receive the license. Q: Once I send my application in, how soon should I expect to get my license? A: The department will make every effort to issue your license within 60 days or notify you that you did not meet the qualifications. If your application is incomplete or some other problem arises, processing may take up to 180 days. Q: Can I get my money back from DPS if my application is not approved? A: State application fees are non-refundable. Please make sure you qualify before turning in your application. Q: If I am licensed in Texas, can I carry my concealed handgun in another state? A: Your Texas license doesn’t allow you to carry a handgun in another state, unless that state recognizes Texas licenses. Contact the state you will be entering to find out if it recognizes Texas concealed handgun licenses. Please see their Reciprocity Map. Q: Are police officers, retired police officers, judicial officers, ex-DPS or retired DPS officers required to take the handgun course for proficiency certification, or are they exempt? A: Retired law enforcement officers are exempt from taking the handgun proficiency course. However, they must demonstrate weapons proficiency annually through a law enforcement agency. Active, commissioned peace officers also are exempt from taking the proficiency course. State and federal judicial officers must take an abbreviated course covering handgun proficiency and safe storage. Q: If a student doesn’t pass the DPS-certified course, must the instructor return the applicant’s money? A: The DPS doesn’t require the money to be returned. The LTC / CHL statute allows students 3 attempts to pass both the shooting proficiency and written tests. Q: Will all classroom tests be in English only? A: DPS does not specify the language in which the LTC / CHL course is taught. 4Ward Defense currently teaches the LTC / CHL class in English only. The state of Texas makes provisions, in some cases, for interpreters. Please contact 4Ward Defense so that we can make provisions prior to your class. Q: Can I start carrying a concealed handgun as soon as I receive my license in the mail? Q: What does concealed mean? Can’t I carry my handgun in plain view? A: No. The weapon can’t be visible, and its presence can’t be discernible through ordinary observation. Q: Where can I not take my handgun? A: Handguns and other weapons cannot be carried at schools or on school buses, at polling places, in courts and court offices, at racetracks and at secured airport areas. The law also specifically prohibits handguns from businesses where alcohol is sold if more than half of their revenue is from the sale of alcohol for on-premises consumption, and from locations where high school, college or professional sporting events are taking place. You may not carry handguns in hospitals or nursing homes, amusement parks or at government meetings if proper signs are posted prohibiting them. Property owners also may post signs prohibiting handguns on their premises based on criminal trespass laws. *The statue revisions of August 2016 allow for the carry of a concealed handgun on the grounds of a public institution of higher learning, with special rules allowed to be enacted by the governing bodies of the institution to restrict firearms in certain places on the grounds. Q: Can I carry a handgun when I am drinking? A: Under the concealed handgun law, it is illegal to carry a handgun if you are intoxicated. The best idea is to leave your weapon at home if you intend to consume any alcoholic beverages. Q: Do police officers have the right to disarm me? A: Yes. Any time an officer feels a safety risk exists, he or she may disarm you. Q: Do private property owners have the right to exclude license holders from their property? A: Yes. Private property owners may give notice excluding license holders from carrying concealed handguns. If you carry a concealed handgun on posted property, you can be charged with criminal trespass by a license holder. The charge is a Class A misdemeanor, and if you are convicted, your license will be revoked. Q: If I don’t want guns in my business, what type of signs should I post? A: If you want to prohibit license holders from carrying concealed handguns on your property, state law requires you to post a sign that says: “Pursuant to Section 30.06, Penal Code (trespass by holder of license to carry a concealed handgun), a person licensed under Subchapter H, Chapter 411, Government Code (concealed handgun law), may not enter this property with a concealed handgun.” The sign must be written in both English and Spanish in contrasting block letters at least one inch in height, and must be displayed in a conspicuous manner clearly visible to the public. If you want to prohibit license holders from openly carrying handguns on your property, state law requires you to post a sign that says: “Pursuant to Section 30.07, Penal Code (trespass by license holder with an openly carried handgun), a person licensed under Subchapter H, Chapter 411, Government Code (handgun license law), may not enter this property with a handgun that is openly carried.” The sign must be written in both English and Spanish in contrasting block letters at least one inch in height, and must be displayed in a conspicuous manner clearly visible to the public. Q: If I drive to a shopping mall that does not permit handguns, will I be allowed to park in the parking lot and leave my gun in the car? Q: Can I carry my handgun to a shooting range without a license? A: Yes, according to the Motorist Protection Act (2007), you may have your handgun concealed in your vehicle without a license. Please refer to Texas Penal Code Section 46.02 for more details. A: Yes. The statute refers to carrying a gun “on or about” your person. Texas courts generally have considered this to include any gun within your reach, including one stored in your glove compartment. The statute makes no reference as to whether the handgun is loaded or not. 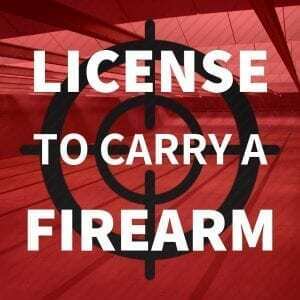 Q: If I am not carrying my handgun, must I still carry my license? A: No. Under the concealed handgun law, you are only required to have your license with you whenever you are carrying your handgun. We suggest you carry it with you at all times, however. Q: What type of gun will I be able to carry? A: You may carry any type of legal, concealed handgun you are qualified to use. If you wish to carry a semi-automatic weapon, you must complete your firing range test with a semi-automatic. If you do not wish to carry a semi-automatic, you may test with a revolver. There is no minimum ammo caliber requirement for testing. Q: What type of ammunition can I use during my training class? A: Your certified instructor may select any safe ammunition for use in the training program, but most factory loads should be acceptable. To expedite the qualification process and eliminate confusion, we suggest that you purchase your ammunition at the shooting range. Most indoor ranges only allow brass cased ammo. Q: If licensed, can I carry more than one handgun? A: The law does not limit the number of guns you may carry. Q: Can instructors teach anywhere in the state or only in a particular geographic area? A: They are certified to teach anywhere in Texas.